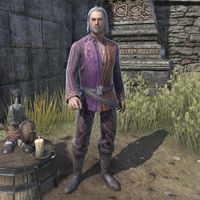 Sheogorath is the Daedric Prince of Madness and the antagonist of the Mages Guild questline. Shalidor seeks to take back the island of Eyevea, which he lost to Sheogorath in the First Era, to act as a sanctuary for the Guild. Esta página foi modificada pela última vez à(s) 20h49min de 1 de fevereiro de 2016.